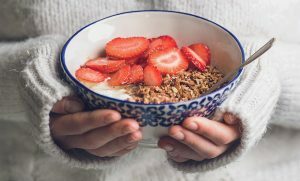 When we eat, we do so not to just satisfy hunger, but to fuel our bodies so it can create the energy needed to carry us through everyday life. This is such a big part of our lives – and yet, I feel that we sometimes take it for granted. Today, a lot of desires have the urge to be satisfied immediately. Instant gratification has become second nature to us as a specie that forgot the gentle power of patience and made ‘time’ as a top priority. For the most evolved animal in the food chain we eat worse than pigs some times. I am sure if someone invented a tablet that you drink once a day and it eliminated your hunger and contains your daily nutritional value that most people will be on that like ants gathering around spilled sugar. Have you ever thought about the true meaning about fuelling your physical body? I understand that it is not possible to be in the kitchen almost the entire day like our grandmothers used to be, and it doesn’t have to be either. Healthy and nutritious meals can be prepared with love and in good time. 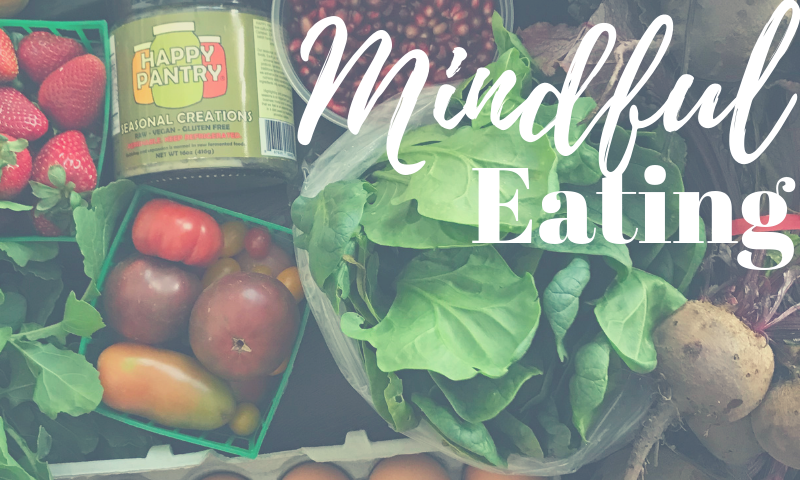 I have gone through some very drastic eating patterns before I found my mindful menu and listening to the whispers of what my body is asking for and it is a never ending story. 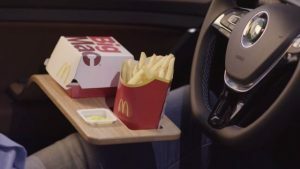 When I used to be a medical representative, I was so busy that KFC and Mc D’s were in my one hand while the steering wheel was in my other. Tasting the spices on cardboard to an extreme extent was easy due to all the MSM (taste enhancers) that was in the food. After a while my health was declining, I was losing a lot of weight (which I was thrilled about) but I wasn’t feeling very good. Doctors couldn’t figure out what was wrong with me. I started looking for alternative solutions and I went on a Scio machine (Google can explain what this is better than me if you are interested to know). I was told that my body does not produce enough stomach acid so my digestion is slow and it struggles to digest meat. I was also told that my body is very sensitive for gluten and if I don’t scale down or stop eating it, it will result in major issues like cancer. Being on the yoga path already I tried to listen. The next stage I lost even more weight because I only ate fish and sometimes chicken. I tried to stop eating gluten (which I felt was in everything) so my entire diet (that consisted of gluten and meat) was out the door. My busy world didn’t stop so I could readjust. So I went months with only eating one meal a day because being on the road the whole day I couldn’t stop at fast food places anymore. So I basically starved myself. Also not what my body needed. Don’t starve your body as it does more harm than good. Don’t be lazy if you have the time to make nutritious food, your mood and body will thank you for the effort of feeding it with good fuel. The food you eat literally becomes a part of you, so decide if you are comfortable with being what you eat. 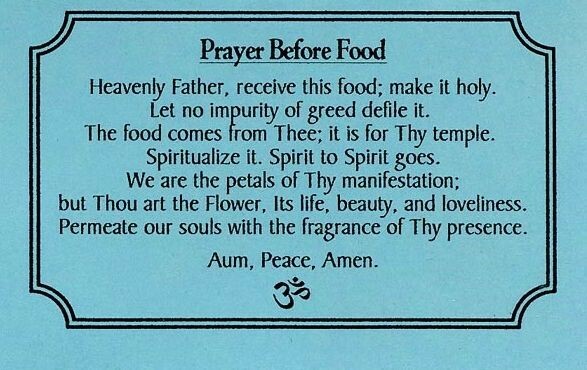 It is important how you receive your food, because you can eat the healthiest meal and be in a foul mood and fuel those emotions in your food – or you can be mindful when you have to grab something on the go, and take 1 min to bless the food and to be grateful that you are about to receive mother earths gifts and that can nourish you more than any healthy meal would, received in the wrong way. I grew up in a Christian family that always prayed before food and when my consciousness started to expand I asked myself what this is all about… Saying the same words passed down from your elders and saying them so fast that you don’t notice what you are saying, a drag out before you can actually dig in and eat. That is how it felt to me. Now, however it is a powerful gesture in my eyes. I no longer believe in religion but these gestures are practiced by a lot of cultures and religions in their own language stating the same intention. I now try to receive my food mindfully. To bless my food with gratitude so whatever is going into my body I approve of, else there will be parts of myself I don’t approve of. I also do this because if someone else is making the food and they were in a bad mood and tossing the food that I am going to eat, I don’t want to eat their emotions. Also blessing everything you drink is just as important. It occurred to me that we recycle all 4 elements through our body… I will leave it at that for your thoughts to take it where it needs to go. But I always try to leave something a little better than I found it. It is not difficult and also doesn’t steal time. Lastly… Eat the rainbow. Include all the colours of the rainbow in your diet.